RACV are the proud sponsor of the Great Ocean Otway Classic Ride, and have very generously agreed to offer a free 12 month RACV Bike Assist Membership* (valued at $51) to everyone over the age of 15 who participates in this year’s event. Please note: If you have already entered you will also be eligible for this offer. Once entered you will be contacted by RACV with details on how to set up your membership. RACV Bike Assist offers a host of benefits and is a must for all Victorian cyclists. A roadside assistance program for cyclists, Bike Assist provides up to 8 callouts a year. RACV will come to your aid if your bike can’t be ridden due to an accident, mechanical problem, puncture or even exhaustion. In the case of a puncture A RACV Service Provider will be despatched to assist. Should a bicycle not be able to be repaired or if a rider is not able to ride their bicycle, a taxi will be dispatched to transport the rider and bicycle to a destination of their choice. With One taxi journey provided per incident to the value of $50. 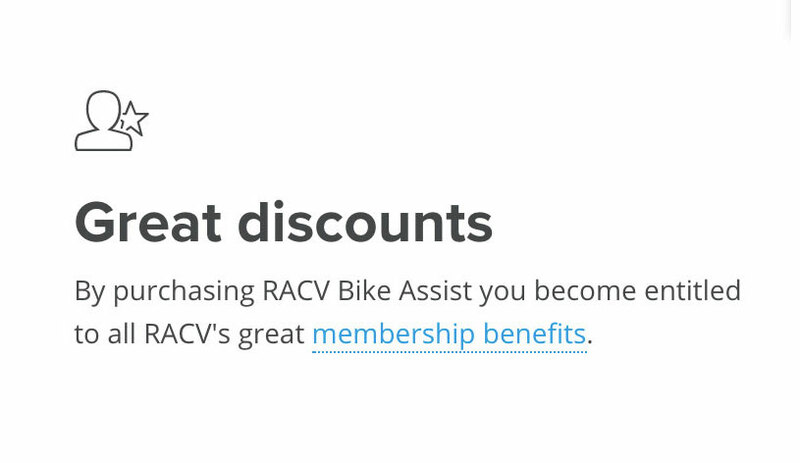 This offer is limited to new RACV Bike Assist customers only. 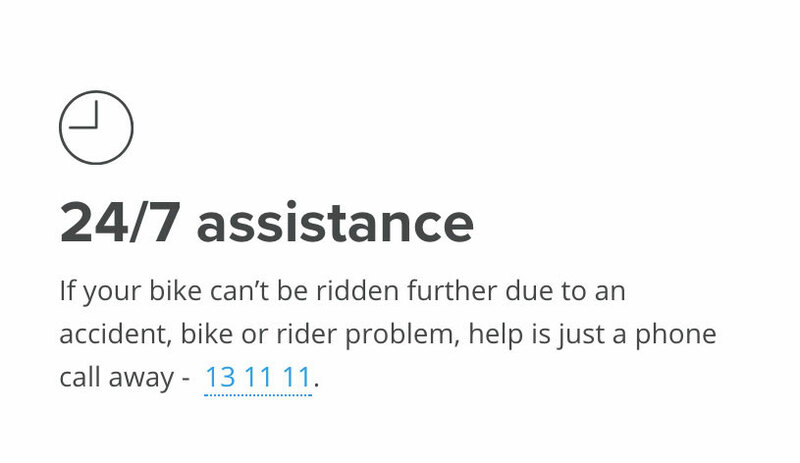 RACV Bike Assist is designed to assist cyclists when their Bicycle cannot be ridden – or if the rider is not able to ride their Bicycle. RACV Bike Assist provides up to 8 callouts in any subscription year. A Service Provider will be dispatched to assist should a Bicycle become disabled due to a puncture only. Should a Bicycle not be able to be repaired (eg broken spoke), or if the rider is not able to ride their Bicycle, a taxi may be dispatched to transport the rider and Bicycle to a destination of their choice. 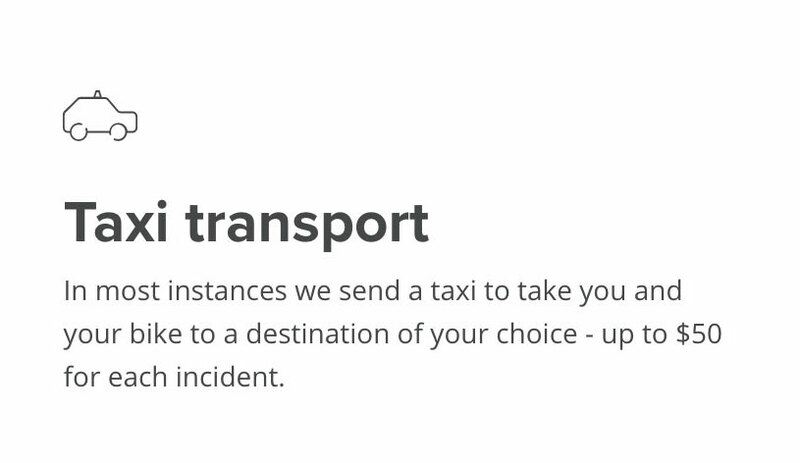 One taxi journey is provided per incident to the value of $50. RACV will provide Bike Assist services for any Bicycle being ridden by a Member holding Bike Assist or Total Care membership. Bike Assist puncture repairs are only available in Metropolitan Melbourne. Taxi services, however, are available anywhere in Victoria.